WOOD FLOORS BUCKLING? DO NOT SAND! "The Summer Wind Came Blowin' In..."
..and now we have a wood floor problem. 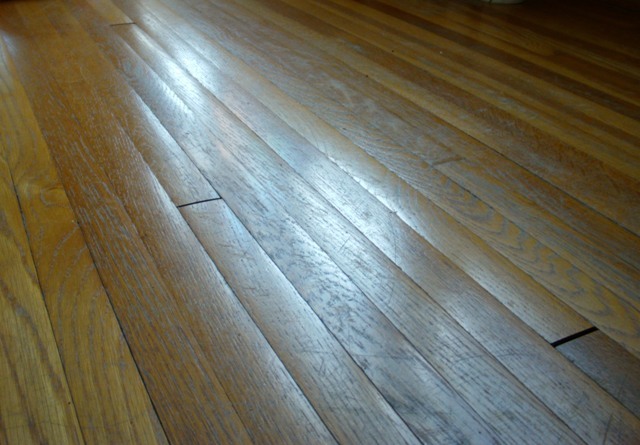 There are wood floors buckling all across this great land of ours. Screen doors are just one common reason why. Let me lay out the set up for this all too common wood floor problem. The door happens to face in the same direction from which most storms blow in. See the daylight shining through the jamb? The door is entirely closed. It's also entirely wood. Not the best exterior door for this exposure. would be to replace the wood exterior door with something that does not warp. -the integrity of the exterior door inside it. 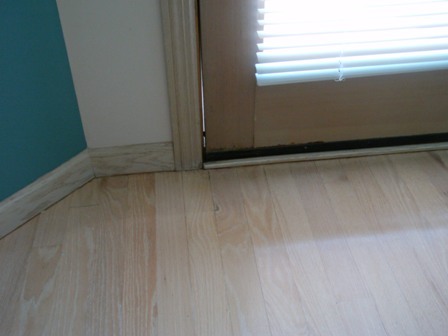 To avoid wood floor problems, always inspect and replace the exterior door FIRST, if need be. 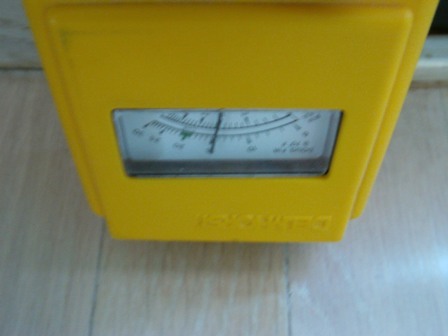 8% was the moisture reading everywhere else on this particular floor. I have noticed Oak does a better job of "returning". My guess is it has to do with the hard grain and soft grain composition achieved with seasonal growth swings. but the cracks will be bigger than Oak when completely dry. 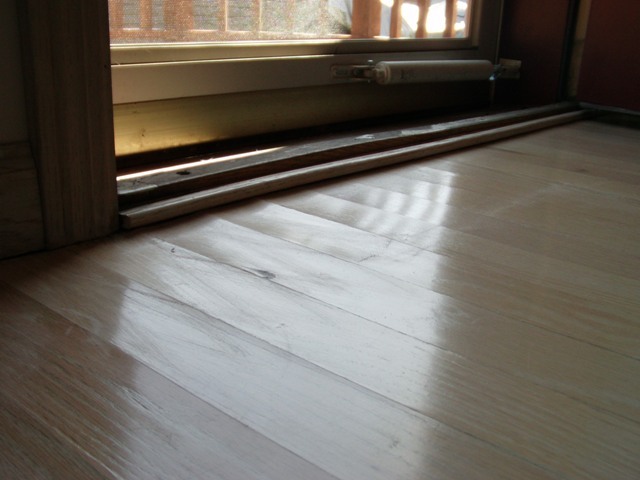 it is a Red Oak floor. 7% is a serious difference. So, class, when you see wood floors buckling, how will we know when these floors are dry? That's right, when it is flat. DO NOT SAND THE FLOOR UNTIL IT IS FLAT! Which brings us to yet another item on my list of 100 Ways to Wreck a Wood Floor.